MOSCOW, April 8. /TASS/. Ankara is fully ready to launch a new military operation in Syria, Turkish President Recep Tayyip Erdogan said on Monday before departing for Moscow. 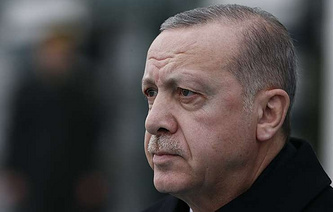 According to Erdogan, he will discuss the issue with his Russian counterpart Vladimir Putin. "We are completely ready. We have made all necessary preparations in areas along the Syrian border. I will discuss it at a bilateral meeting [with Putin]," Erdogan said, as cited by the NTV channel. Turkey has already carried out two military operations in Syria dubbed Olive Branch and Euphrates Shield. As a result, a security zone was created between the border cities of Azaz and Jarabulus, while the city of Afrin was occupied. 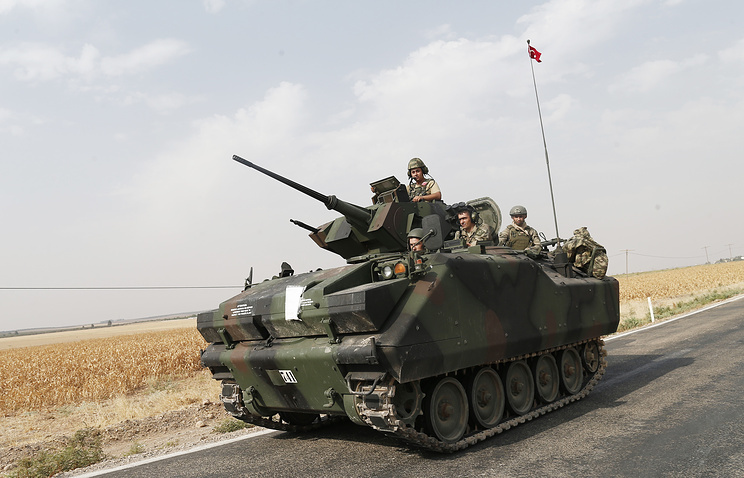 Ankara continues to maintain a significant number of troops along the border and said in 2018 that it was ready to launch a military operation in northern Syria against Kurdish units, which it considers to be terrorist groups.